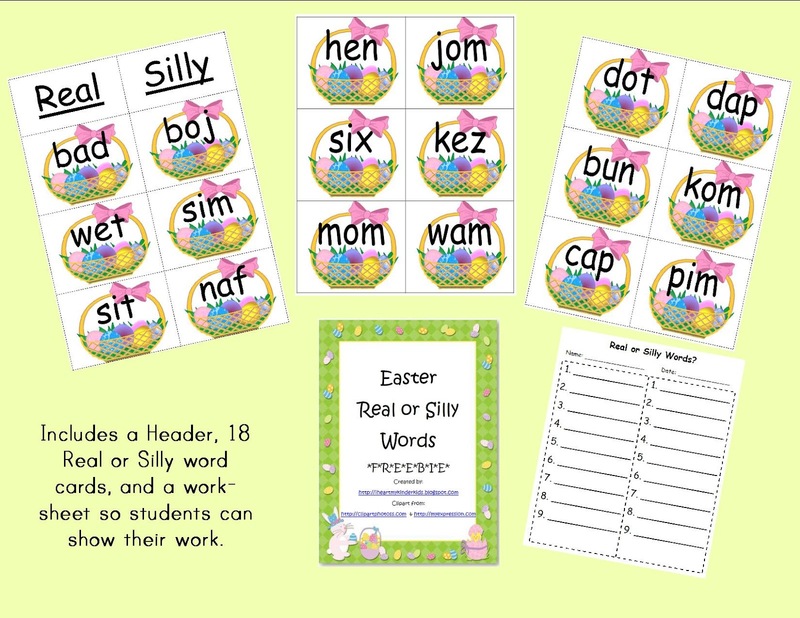 Practice for Dibles Nonsense Words with these cards. 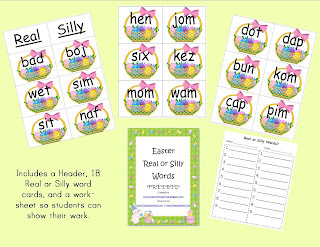 Can be used on the carpet, on a pocket chart or at student's desks! Perfect for Easter Time!! Click here for Google Docs FREEBIE! Thanks for stopping by my blog and following. I was a kindergarten teacher for 5 years and loved it. I moved up to first grade and it is also great. Welcome to blogging! I am fairly new also, and it is definitely a learning experience. I will definitely stop by often.